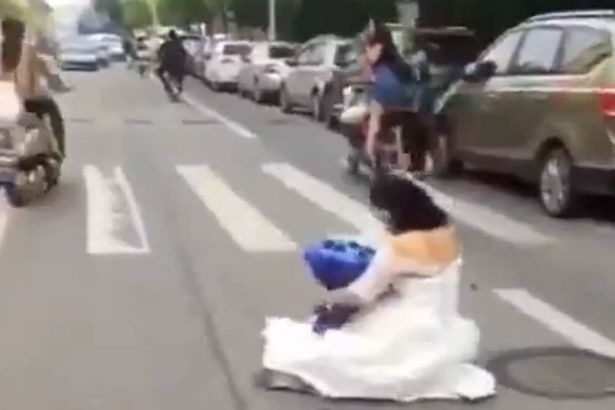 A bride was left shocked after being dumped unceremoniously in the road as she left her wedding reception with her new husband. 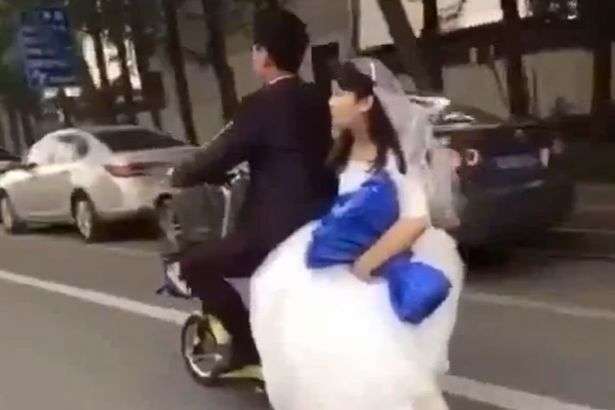 Dressed in her white gown and carrying something blue in her arms, she fell off the scooter when the groom rode over a speed bump.She landed on the floor with a bump, but her husband failed to notice she was no longer behind him and kept riding away. 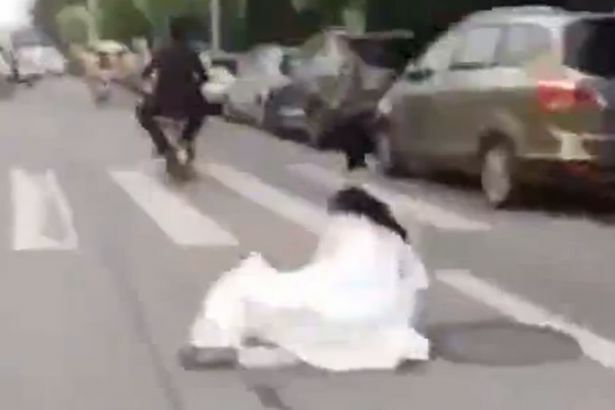 A few seconds later a passerby stopped his bike to comfort the woman who is sat bewildered in the middle of the road.The footage was filmed in China, although the exact location is not known.It is not known if her husband eventually noticed her absence.